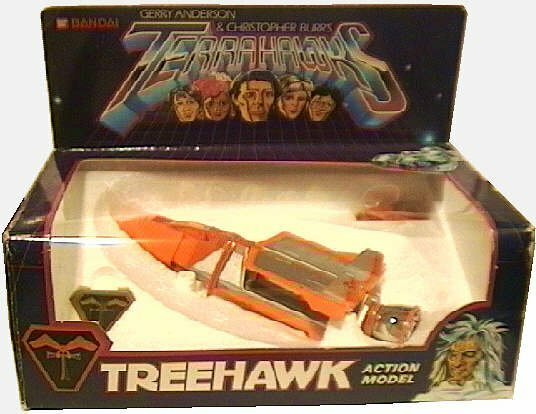 The Bandai ' deluxe ' Treehawk action model is 7 inches in length and is of die-cast and plastic construction. The nose cone extends and the side wings fold upwards. On the underside of the model are three retractable landing struts. This model comes complete with 6 plastic missiles which can be fired by means of spring mechanisms located under each of the fold-out side wings. 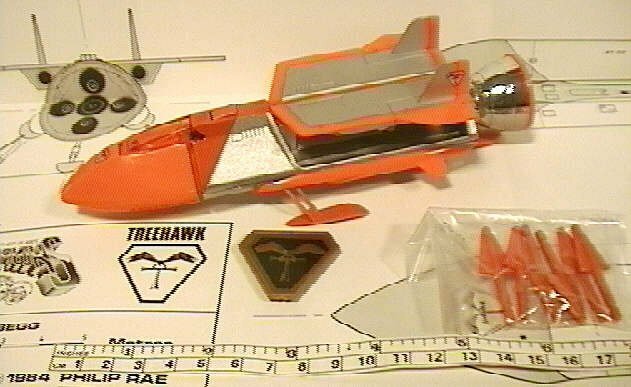 Also included with this model are a set of decals and a Terrahawks badge. 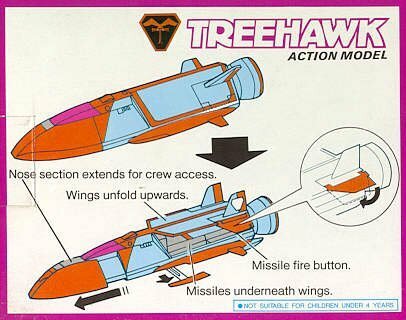 Artwork from the underside of the Treehawk box.